Essential GPS tracks, road and route maps for Mt Damavand skiing and snowboarding. The south route has an off-piste mild ski slope suitable for ski downhill descent. Mt Damavand expedition guided tour. Ski and snowboard winter holiday tours. Winter climbing and ski mountaineering tour Alborz and Zagross Ranges. Mount Damavand summit tours. Essential GPS tracks, road and route maps for Damavand Ski Touring, wild skiing and snowboarding. The south route has an off-piste mild ski slope suitable for downhill ski descent. These gps tracks help you to find your way in case of bad weather and foggy situation on Damavand. 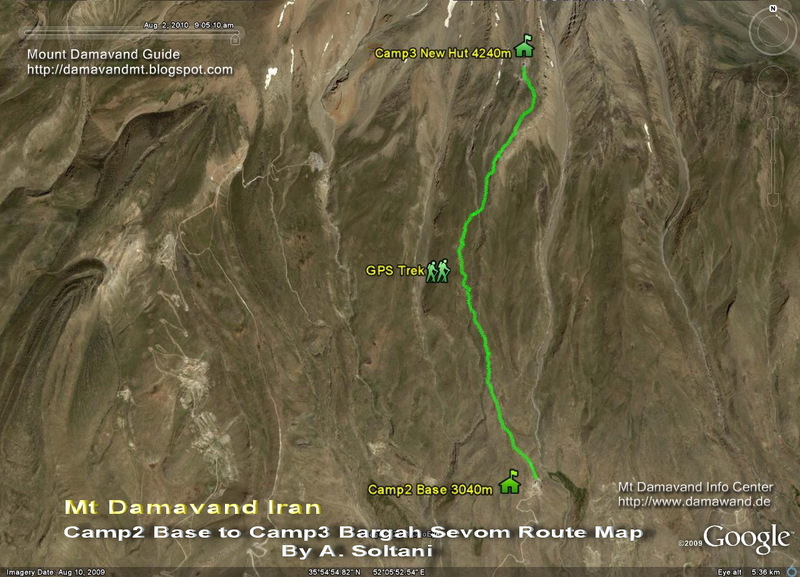 Tehran> Camp1 Polour> Camp2 Base> Camp3 Bargah > Summit. Damavand Expedition Wanderkarte. Ski- und Snowboard-Streckenkarten. Klettern und Skitouren Topo-Karte für Alborz und Zagross Ranges. Damawand Wandern GPS-Karte. 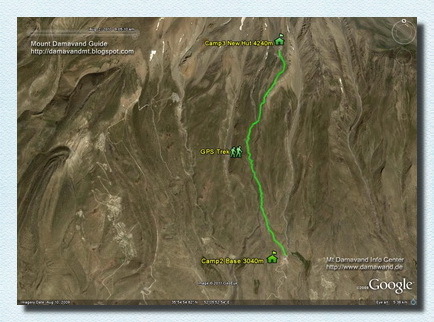 Iran Skitouren Track maps.Tehran zu Dizin GPS-Track und Google Earth-Karte. Dizin zu Fahrplan Shemshak. Iran Bergstraße und Streckenkarten. Karten zum Skifahren und Snowboarden in IranSki Resorts. Camp 3 Bargah Sevom zum Gipfel-Weg-Karte. Camp 3 Shelter und New Hut auf Fußabdruck Karten Höhepunkt erreichen. IKA Flughafen Teheran nach Damawand Camp1 Polour Road Map. Teheran nach Mt. Damavand Road Map. Tehran International Flughafen zum Mount Damavand Road Map. Berg Demavand Iran Karte. Teheran nach Dizin Ski Resort Road Map. Teheran nach Shemshak Ski Resort Road Map. Road Map Teheran Um Kaspischen Meer Via Haraz und Chalus Roads. Visit also Damavand Tour ,Damavand Economy Tour. 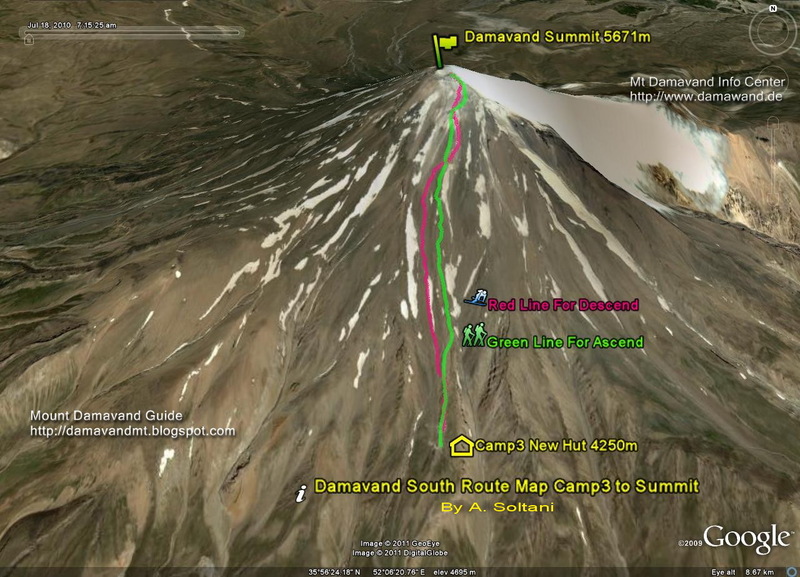 Damavand expedition trail map. Ski and snowboard route maps. Climbing and ski mountaineering topo map for Alborz and Zagross Ranges. Damawand hiking gps map. Iran ski mountaineering track maps.Tehran to Dizin GPS track and google earth map. Dizin to Shemshak road map. Iran mountain road and route maps. Maps for skiing and snowboarding in IranSki Resorts. Camp 3 Bargah Sevom to the Summit Route Map. Camp 3 Shelter and New Hut to peak footprint maps. 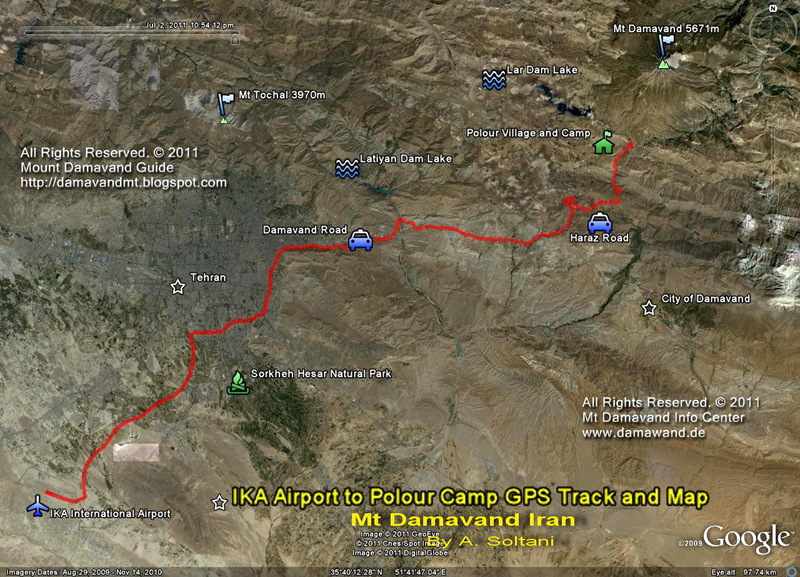 IKA Airport Tehran to Damawand Camp1 Polour Road Map. 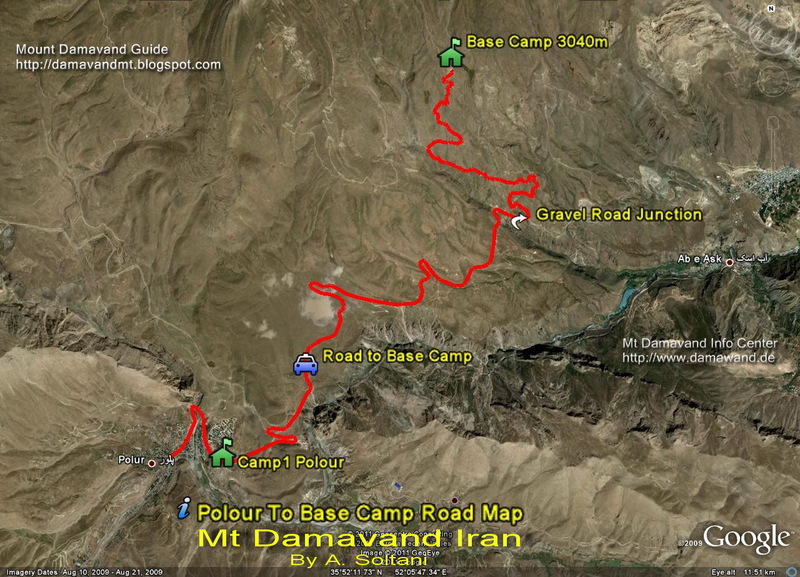 Tehran to Mt Damavand Road Map. Tehran International Airports to Mt Damavand Road Map. Mount Demavand Iran Map. Tehran to Dizin Ski Resort Road Map. Tehran to Shemshak Ski Resort Road Map. Road Map Tehran To Caspian Sea Via Haraz and Chalus Roads. Damavand mapa del sendero expedición. Mapa de pistas y rutas snowboard. Escalada y esquí de montaña mapa topográfico de Alborz y Zagross Ranges. Damawand gps senderismo mapa. Irán esquí alpinismo pista maps.Tehran a Dizin GPS track y google mapa de la tierra. Dizin a Shemshak hoja de ruta. Carretera de montaña y ruta mapas Irán. Mapas de esquí y snowboard en IranSki Resorts. Campo 3 Bargah Sevom a la Hoja de Ruta de la Cumbre. Campo 3 Refugio y Nueva Hut alcancen un pico mapas huella. IKA aeropuerto de Teherán a Damawand Camp1 Polour Hoja de Ruta. Teherán al Monte Damavand Hoja de Ruta. Aeropuertos Internacionales Teherán a Mt Damavand Hoja de Ruta. Monte Demavand Irán Mapa. Teherán para Dizin Ski Resort Hoja de Ruta. Teherán para Shemshak Ski Resort Hoja de Ruta. Hoja de Ruta de Teherán Para Mar Caspio Vía Haraz y Chalus Roads. Damavand piste d'expédition carte. Cartes de ski et snowboard itinéraire. Escalade et de ski alpinisme carte topo pour Alborz et Zagross gammes. Damawand gps carte de randonnée. Iran piste de ski alpinisme maps.Tehran à Dizin trace GPS et Google Map de la terre. Dizin à Shemshak feuille de route. Cartes Iran route de montagne et de route. Plans pour le ski et le snowboard en IranSki Resorts. Camp 3 Bargah Sevom au Sommet Route Map. Camp 3 Shelter et New Hut à crête cartes d'empreinte. IKA Aéroport Téhéran à Damawand Camp1 Polour Road Map. Téhéran à Mt Damavand Road Map. Aéroports Téhéran internationales à Mt Damavand Road Map. Mont Demavand Iran Carte. Téhéran à Dizin Ski Resort Road Map. Téhéran à Shemshak Ski Resort Road Map. Road Map Téhéran Pour la mer Caspienne Via Haraz et Chalus routes. 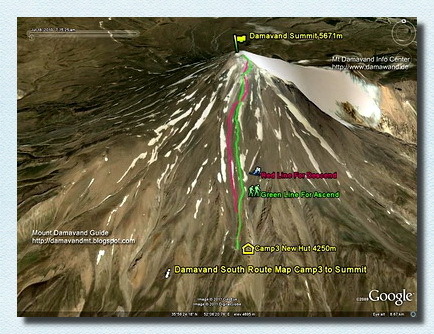 Damavand percorso spedizione mappa. Sci e snowboard percorso mappe. Arrampicata e sci alpinismo topo mappa per Alborz e Zagross Ranges. Damawand gps trekking map. Iran sci alpinismo pista maps.Tehran a Dizin traccia GPS e Google mappa della terra. Dizin a Shemshak road map. Strada di montagna e percorso mappe Iran. Mappe per lo sci e lo snowboard in IranSki Resorts. Campo 3 Bargah Sevom al vertice Route Map. Campo 3 Shelter e New Hut a picco mappe footprint. 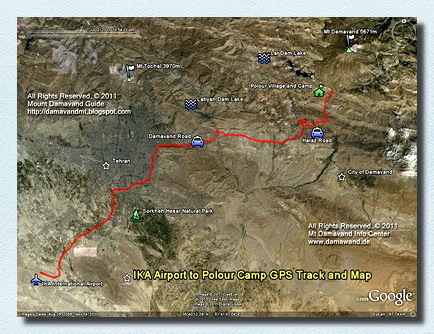 IKA Aeroporto Teheran a Damawand Camp1 Polour Road Map. Teheran a Mt Damavand Road Map. Aeroporti Teheran internazionali per Mt Damavand Road Map. Mount Demavand Iran Map. Teheran a Dizin Ski Resort Road Map. Teheran a Shemshak Ski Resort Road Map. 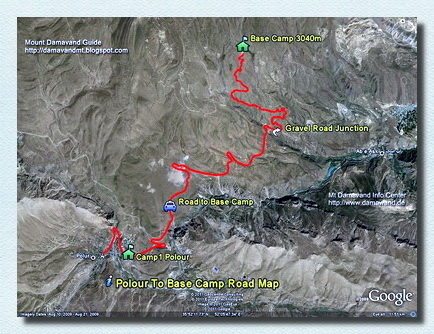 Road Map Tehran Per Mar Caspio Via Haraz e Chalus Roads. Damavand ekspedisjon løypekart. Ski og snowboard rutekart. Klatring og ski fjellklatring topo kart for Alborz og Zagross Ranges. Damawand fotturer gps kartet. Iran ski fjellklatring spor maps.Tehran til Dizin GPS spor og google earth kartet. Dizin å Shemshak veikart. Iran fjellvei og rutekart. Kart for ski og snowboard i IranSki Resorts. Camp 3 Bargah Sevom til toppmøtet Route kart. Camp 3 Shelter og New Hut til topp fotavtrykk kart. IKA Airport Teheran til Damawand Camp1 Polour Road Map. Teheran til Mt Damavand Road Map. Teheran internasjonale flyplasser til Mt Damavand Road Map. Mount Demavand Iran kart. Teheran til Dizin skiområde Road Map. Teheran til Shemshak skiområde Road Map. Veikartet Teheran til Kaspihavet Via Haraz og Chalus Roads. Damavand экспедиция след карту. Горные лыжи и сноуборд карты маршрутов. Альпинизм и горнолыжный Topo карта Эльбрус и Zagross диапазонах. Damawand туристические GPS карта. Иран горнолыжный трек maps.Tehran в Dizin GPS трека и Google Earth карте. Dizin в Shemshak дорожную карту. Иран горной дороге и маршрутные карты. Карты для катания на лыжах и сноуборде в IranSki курортов. Лагерь 3 Bargah Sevom к саммиту карта маршрута. Лагерь 3 Жилье и Нью-Hut пик карты след. IKA Аэропорт Тегеран Damawand Camp1 Polour дорожную карту. Тегеран к горе Damavand дорожной карте. Тегеран Международные аэропорты в Маунт Damavand дорожной карте. Гора Demavand Иран Карта. Тегеран Dizin Горнолыжный курорт дорожной карте. Тегеран Shemshak Горнолыжный курорт дорожной карте. Дорожная карта Тегеран Каспийского моря через Haraz и Chalus дорогах. Damavand ekspeditsiya sled kartu . Gornyye lyzhi i snoubord karty marshrutov . Al'pinizm i gornolyzhnyy Topo karta El'brus i Zagross diapazonakh. Damawand turisticheskiye GPS karta . Iran gornolyzhnyy trek maps.Tehran v Dizin GPS treka i Google Earth karte. Dizin v Shemshak dorozhnuyu kartu . Iran gornoy doroge i marshrutnyye karty. Karty dlya kataniya na lyzhakh i snouborde v IranSki kurortov. Lager' 3 Bargah Sevom k sammitu karta marshruta. Lager' 3 Zhil'ye i N'yu- Hut pik karty sled. IKA Aeroport Tegeran Damawand Camp1 Polour dorozhnuyu kartu . Tegeran k gore Damavand dorozhnoy karte . Tegeran Mezhdunarodnyye aeroporty v Maunt Damavand dorozhnoy karte . Gora Demavand Iran Karta . Tegeran Dizin Gornolyzhnyy kurort dorozhnoy karte . Tegeran Shemshak Gornolyzhnyy kurort dorozhnoy karte . Dorozhnaya karta Tegeran Kaspiyskogo morya cherez Haraz i Chalus dorogakh .